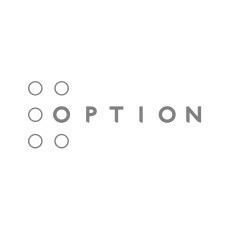 Option, the company connecting Things to the Cloud, today announced that LoRa™ – a low power, long range wireless network technology – is now also available for the CloudGate platform. Through Option’s development partner, Peak Gain Wireless, the Company has developed a range of expansion boards and modules with LoRa™ technology on board. These products further expand the product line-up of the CloudGate platform with a new and promising technology that is quickly gaining wide support in the Internet of Things world. LoRa™ is a new technology making it possible for M2M applications, using little data and little power, to be connected to the Internet in a very cost efficient way. Applications include Smart City, Smart Grid, Smart Campus, pollution monitoring, waste management and long distance wireless telemetry allowing for wireless monitoring and control of lights, signs, security, HVAC and any other wireless sensor data. A single CloudGate configured with the LoRaONE Gateway Card can service more than 8,000 LoRa end devices at a surprisingly low cost. The new technology is being supported and promoted by renowed market players via the LoRa Alliance to establish a global standard for long range, low power connectivity and to enable Internet of Things, Machine-to-Machine, Smart City and industrial applications. Option’s CloudGate Smart Wireless M2M solutions are being demonstrated at CTIA Super Mobility 2015 (Las Vegas, USA, September 9-11, Sands Expo, M2M Zone, booth 5635).